Our team hosted an open house to our current listing 1391 Edgefield St in Upland! The event took place Saturday and Sunday from 1pm – 4 pm and we had some fun in store for our visitors at the showing times. Since it was hot and sunny we asked our visitors to cool off with some watermelon on this warm sunny summer. We were happy to have a “Watermelon Seed Spittin’ Contest” with 2 prizes to give! Along with watermelons to cool off we also had Angel’s famous cookies which tasted delicious! Our first winner was Mirina who spit a seed of 29ft! Impressive! 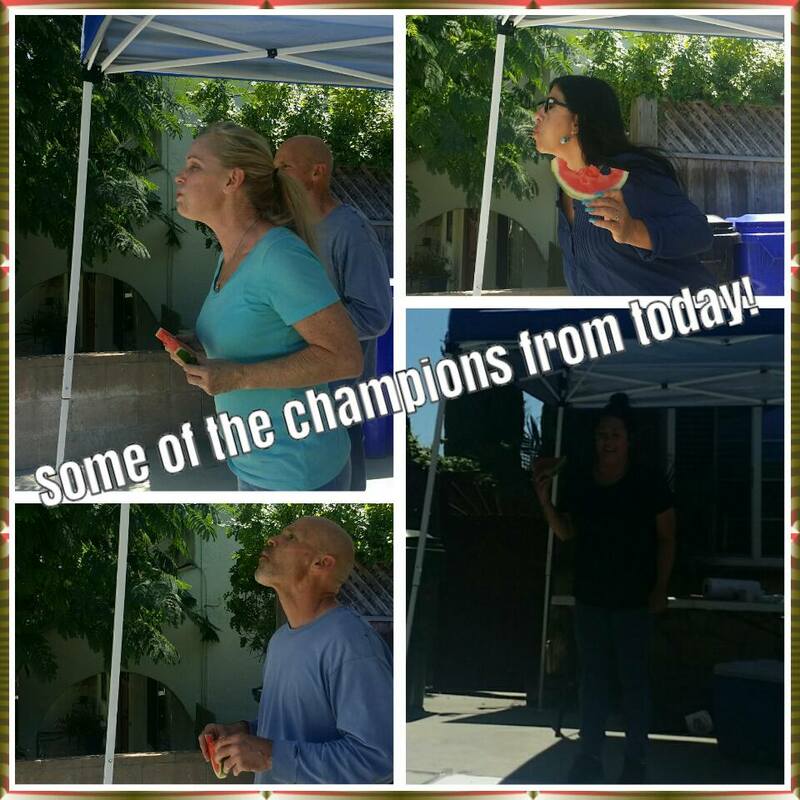 Bonnie was second at 22ft and won an In- N- Out gift card, we are glad our winners had a great time along with everyone else who participated.And a special Thanks to Agent Angel Iñiguez for hosting this beautiful home’s open house keeping our visitors entertained with some fun!